According to recent surveys it looks like we’re losing the war an LGBTQ. 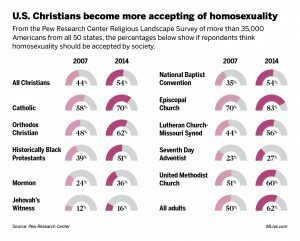 Here is a survey of the major religious institutions and their change and acceptance between 2007 and 2014. The trend is not good.